Does a pop-up mean your phone has been hacked? You might have experienced this: Surfing the web on your smartphone and a pop-up window appears on the screen, claiming you’ve won a prize or that you have a virus and you need to call a tech support number. Or maybe they're just annoying pop-up ads that won't go away. What gives? Has your phone been hacked or infected with malware? However, there are several other reasons for an unasked for pop-up windows on your smartphone. And yes, some of which are malicious. Here’s how to stop them. A common scam circulating among both Android and iOS users is the fake virus alert, a pop-up window that tells the user their device is infected. These alerts often look as if they are coming from Google or Apple and usually contain a ‘Remove Virus’ button linking you to a supposed security app or a phone number to call for help. The aim, of course, is to scare the user into downloading malware or, in the case of a phone number, revealing valuable personal information to ‘tech support’. Shut down the browser window or tab. Be wary of popups or bad ads that may have fake buttons that resemble the usual close button - if clicked, you could end up downloading malware. It’s best to avoid interacting with the alert at all. Alternately, if your browser isn't locked up, you can simply navigate away from the site, by tapping in a new URL in the toolbar. Check what webpage you were browsing and consider avoiding it for a while – it may have been hacked in order to push these malicious alerts. On Chrome, head to Settings > Site (or Content) Settings > Pop-ups and redirects to block these. On Safari, head to iOS Settings > Safari and toggle on Block Pop-ups and Fraudulent Website Warning. Unfortunately, there’s also a chance that pop-up you saw is part of a trend for ‘malvertising’ – where malware makes it into ad networks and are distributed among the network’s myriad sites. Even reputable sites can be hijacked without site admins realizing – The Atlantic was just one of several sites that redirected users to an ‘Amazon.com’ pop-up congratulating them for being ‘selected as a winner’. The popup requested personal information in exchange for a prize – a classic phishing scam. Hijacked sites may also redirect you to webpages you never clicked on. These pop-ups and misdirects can continue to plague your browsing experience even after you restart your browser. First, make sure you never enter any information asked for in a popup, or a website that you didn’t specifically navigate to. If the popups or redirects to another site keep happening, shut down your browser. On iOS, double-tap the Home button on your iOS device to see all open apps, then slide your browser app away. On Android, tap the rightmost square to see all open apps, then flick away the browser app. Also, clear your browsing data. On Safari, head to iOS Settings > Safari > Clear History and Website Data. On Chrome, tap the top-right three dots, then Settings > Privacy > Clear Browsing Data. Malware can land on phones through downloading bad apps or by surfing to a website compromised by ‘drive-by downloads’ that allow malware to instigate itself in a user’s device without the user having clicked on anything. To rid your Android phone of malware, the easiest way is to run an antivirus scan with a mobile security app, such as from Kaspersky, Norton, or Lookout Mobile Security. However, if that doesn’t sort out your pop-up problem, you may need to do a factory reset that will clear your phone of all data – including the problematic app and malware. For iOS, head to Settings > General > Reset and then select Erase All Content and Settings. For Android, head to Settings > System > Reset Options > Erase all data. Once you’re cleared, you can focus on prevention: always update your browser and your smartphone OS. Updates usually patch vulnerabilities that can be exploited by malware. We’ve all seen and heard them – huge banners, sneaky auto-playing music, and unasked for pop-up windows are all examples of intrusive ads that disrupt users’ browsing experiences while providing zero benefit to their purveyor. After all, if you’re not liking, you’re not clicking. 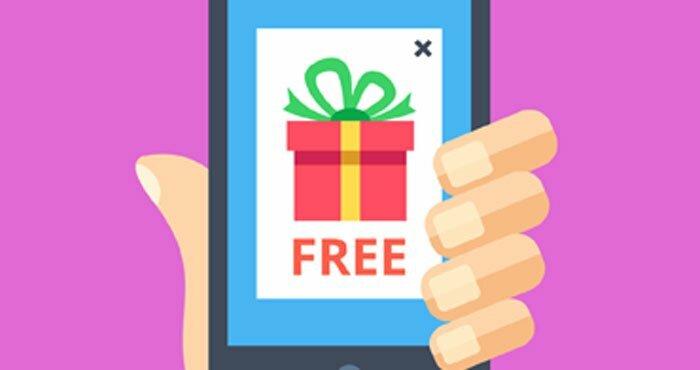 A recent survey found that 73% of people dislike pop-up ads, and 70% dislike mobile ads – making the pop-up ad on your smartphone perhaps the most obnoxious beast of all. On Android: The Chrome browser for Android has a popup- and ad-blocker that selectively prevents intrusive ads from displaying, using the standards set by the Coalition for Better Ads. This should be on by default, but if you’re still getting obnoxious pop-ups and/or ads, head into Settings > Site Settings and tap on ‘Pop-ups and redirects’ and ‘Ads’ to disable them from displaying. Note that the blocker doesn’t block all ads – only the irritating ones. On iOS: Chrome on iOS doesn’t have the same ad-filtering feature, but iOS users on Chrome or Safari can still avoid pop-ups. On Chrome, head to Settings> Content settings > Block Pop-ups; for Safari, head into the main Settings > Safari and toggle on Block Pop-ups. iOS users might also want to check out content blockers, downloadable Safari extensions that can block more types of contents including ads. Crystal, for example, offers an ad-filter feature that blocks intrusive ads such as popups. You can find these at iTunes, and enable them in Settings > Safari > Content blockers. On Chrome, tap the three dots in the top right, then Settings > Notifications > Sites, where you’ll see a list of sites that can send alerts. You can uncheck certain sites, or disable them all from showing notifications. Safari on iOS doesn’t allow websites to send these push notifications.